I went here for dessert with my family during the holidays. 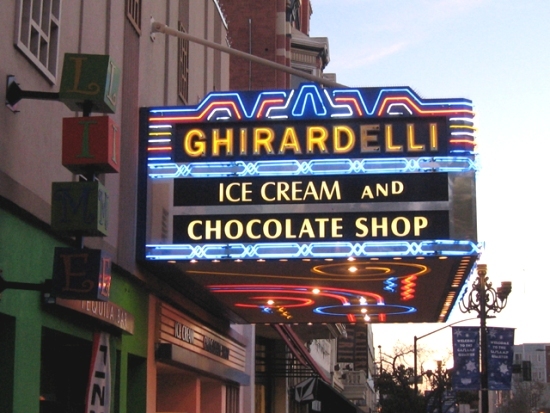 I’ve been to Ghirardelli Square in San Francisco, and have driven by this ice cream shop in Downtown San Diego countless times that it was only fitting I finally step inside. Being with my family made it more special. We had just eaten at Rei Do Gado Brazilian Steak House, where we partaked in 13+ meats and their unlimited buffet. OMG! Carnivores would love this restaurant! 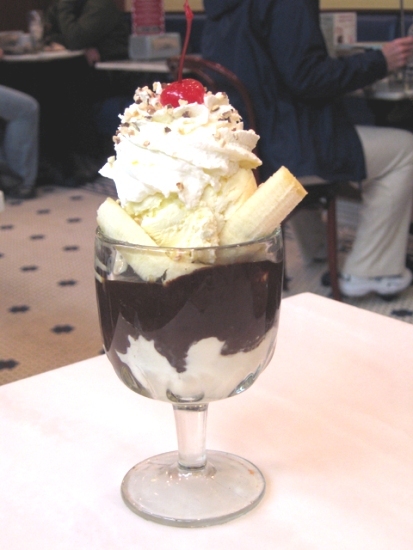 As stuffed as we were and how chilly the day was, we managed to wobble down a few blocks to the Ghirardelli Soda Fountain and Chocolate Shop. LOL. When you first enter, their assortment of chocolates are everywhere on shelves and display tables. 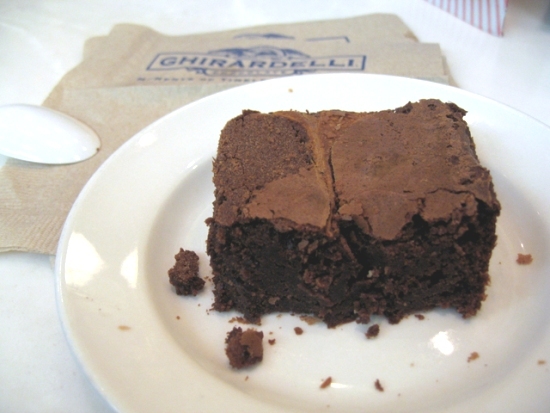 I ordered their Signature Brownie, while one of my brothers and wife shared a “The Domingo”, a Banana Hot Fudge Sundae. My other SIL had tea. As I’m writing this, I realized I never did ask how “The Domingo” or the tea tasted. I think we were all too busy chit-chatting away and wondering why it was taking forever for the sundae to be made. Then again, I didn’t hear any complaints, so it must’ve been good. its really worth of the price.